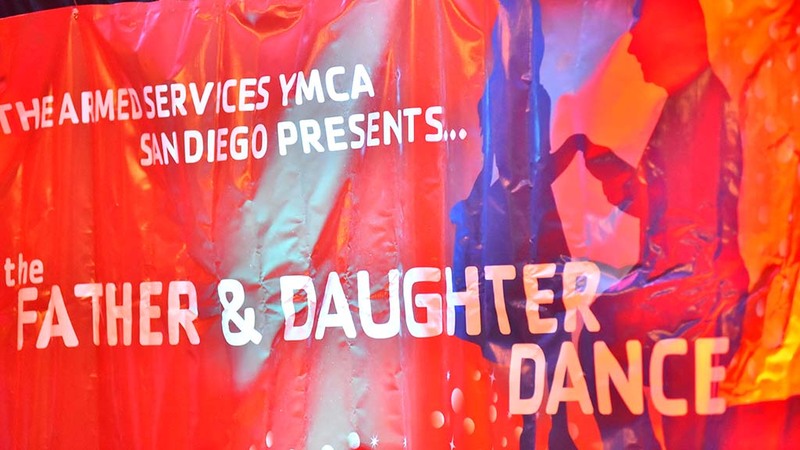 On Friday, Feb. 8 the Armed Services YMCA San Diego will host its 13th Annual Father Daughter Dance supporting military family bonding among active duty dads and their daughters. The night will be a “Once Upon a Dream” theme with live entertainment, dancing, candy bar, and keepsake photos to remember their special night. The event is from 5:30 p.m. to 8:30 p.m. and will be located at the Town and Country Resort, 500 Hotel Circle N, San Diego, Town and Country Ballroom. The Father Daughter Dance creates a special opportunity for fathers to connect with their daughters. Family relationships are especially difficult for military families balancing deployment, relocation, an injured service member or retirement. “The Armed Services YMCA’s Father & Daughter Dance is a wonderful opportunity for military fathers, many of which have been on several deployments, to create a special memory with their daughters,” said Tim Ney, executive director, Armed Services YMCA San Diego. At the Father Daughter Dance, over 200 fathers and daughters will experience an evening out together. A special thanks to Serco, Reflections Farm Ranch, GEICO Military, Wells Fargo, USAA, Avant Garde, and our volunteers who make this night possible. The Armed Services YMCA gives military personnel and their loved ones the support and resources they need to be resilient, confident, connected, and secure. Founded in 1920 as a national affiliate of the YMCA, its mission is to enhance the lives of service members and their families in mind, body, and spirit. Through programs and services that are relevant to the unique challenges of military life, the Armed Services YMCA San Diego strengthens our military family by serving over 66,000 military and family members each year. Please visit our website for more information at: www.asysd.org.